The first director of the Biomedical Engineering Lab at the U of Manitoba was Dr. Ed Shwedyk, who established this lab in 1982 although he was involved in biomedical research since 1974. His early projects was EMG processing for prosthetic control purposes which rapidly progressed into movement studies. This project led to creation of an image acquisition hardware and software for human movement and also for grain imaging. Later on a 3D motion analysis system called UMMAS was developed to record, digitize and calculate the angles of upper limb movements. This was at the same time that the commercial 3D motion analysis system came to the market. This system is still in the lab and in full functionality. Currently, Dr. Shwedyk's main focus of research is on Communication Engineering. He has been a mentor for many students throughout their graduate study and professional careers. He has always been a symbol of integrity both academically and personally. 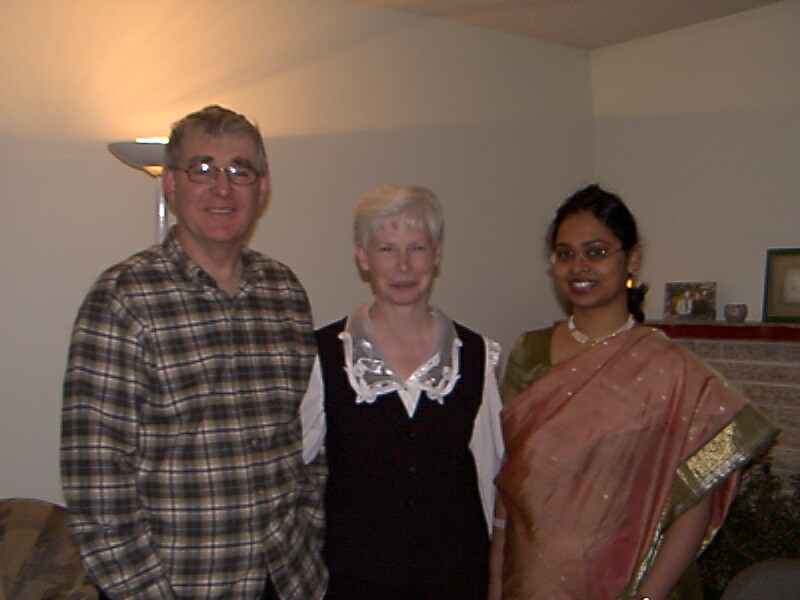 Dr. Shwedyk, Mrs. Shwedyk and Irina at the end of term party for DSP class, Christmas of 2002.